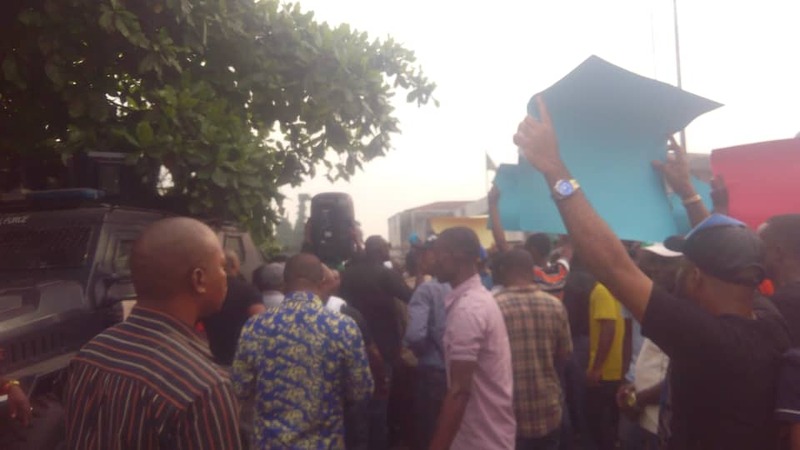 The All Progressive Congress(APC) party in Rivers state Nigeria has barricaded the office of the Independent National Electoral Commission at Aba road in PortHarcourt this morning. The APC said they have met all requirement and see no reason why INEC should not include them on the ballot. 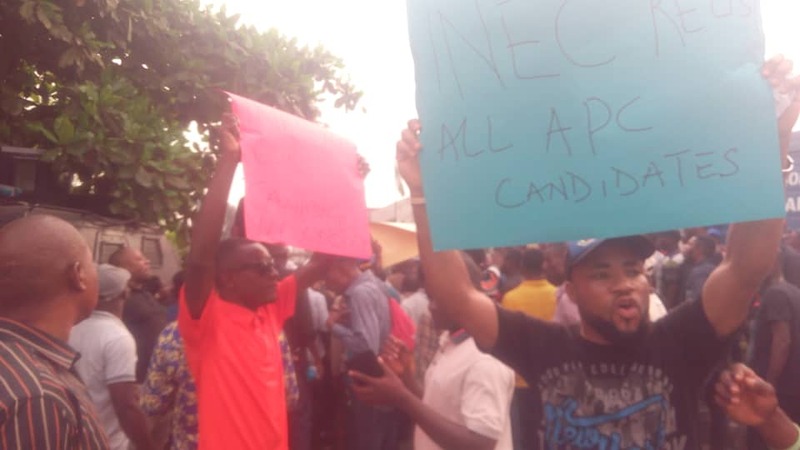 Our correspondent who is at the INEC office reports that there is heavy security personnel in the place. Supreme court, had on Tuesday 12th,2019 upheld the judgement of Justice Chiwendu Wogu of the state High court that nullified the congress that brought in Ojukaye Amachree led executives and the indirect primary that enthroned Pastor Tonye Cole as the Governorship candidate.